The Dutch capital will allow passengers to connect further on international flights and services to cities in the United Kingdom. 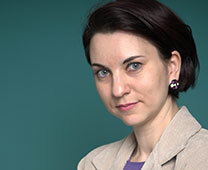 The “capital” of the European Union features a significant Romanian diaspora as well as political and business demand. 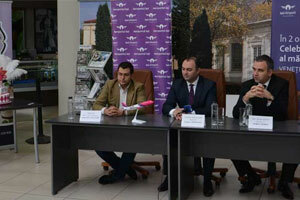 On 30 September 2015, Iasi Airport announced during a press conference that starting in April 2016, Blue Air will commence twice-weekly (Wednesdays and Saturdays) flights to the Belgian capital. Germany is the most preferred country for passengers travelling from Iasi Airport. Düsseldorf is used by the significant Romanian diaspora in the region. Germany is the most preferred country for passengers travelling from Iasi Airport. Business passengers and travellers willing to connect further mainly target Frankfurt. Germany is the most preferred country for passengers travelling from Iasi Airport. Business passengers and travellers willing to connect further mainly target Munich. Starting on 25 October, TAROM will commence twice-weekly flights (Thursdays and Sundays) to the Bavarian capital. The French capital is classified as #1 destination based on O&D passengers in 2014. Romania’s sixth largest international gateway, Iasi Airport, handled around 273,000 passengers in 2014, representing an increase of close to 18% over 2013 figures. The airport caters for a catchment area of over 6.5 million dwellers and serves as an operating base for TAROM, which is gearing up to launch twice-weekly flights (Thursdays and Sundays) to Munich on 25 October. 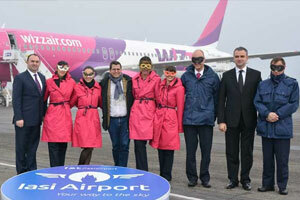 Iasi Airport operates 24 hours a day, without restrictions or limitations. 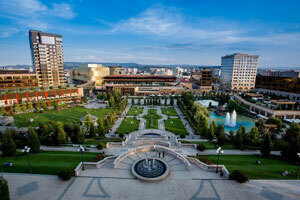 The Iasi region is highly underserved for the big demand. 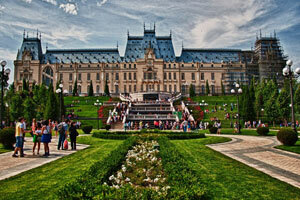 The airport offers the best air transport infrastructure in Romania. Around 40% of its passengers are classified as business travellers. Incoming and outgoing traffic split is 55%/45% respectively, the only exception being the traffic to and from London Luton. The airport is located in close proximity to major IT organisations, car part companies and other developing businesses that are craving for direct flights to the mentioned destinations. 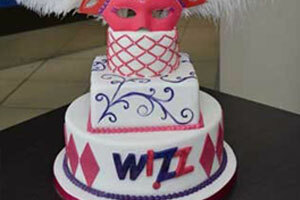 On 16 December 2014, Iasi Airport celebrated with a special event the arrival of Wizz Air, which commenced twice-weekly flights to Venice Treviso. In addition, the Hungarian ULCC introduced Milan/Bergamo and London Luton from Iasi, on 8 February and 14 June 2015 respectively. Cutting the celebratory cake’s first slice are: Daniel de Carvalho, Corporate Communications Manager, Wizz Air; Cristian Adomnitei, President of Iasi County Council; and Marius Bodea, President, Iasi Airport. 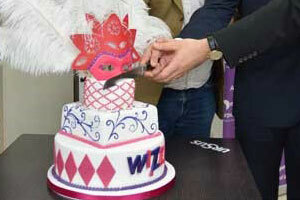 Celebrating the Cake of the Week award for Wizz Air’s arrival with twice-weekly flights to Venice Treviso on 16 December 2014 were Iasi Airport’s: Raluca Filip, Marketing Department; Marius Bodea, President; and Ingrid Solcanu, Route Development Department. 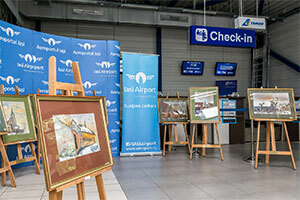 Iasi Airport’s route development team offers support that will promote the new route within the airport’s catchment area through billboard/outdoor advertising, radio and TV broadcast. In the addition, the airport will provide advertisements on the public bus network as well as in the malls and supermarkets from the regions. The airport will provide the carrier with the contacts of all tourism operators within its catchment area. The airport will also organise special press conferences and celebrate the new route launch by preparing a cake/ribbon cutting ceremony and the traditional water arch salute. Iasi Airport is located eight kilometres away from the largest city in eastern Romania and the seat of Iasi County, which has a population of close to 319,000. The airport’s 30-minute catchment area includes several attractions, such as the Palace of Culture, the Metropolitan Church and Palas Lifestyle Centre. Besides Iasi, other major cities to be served by the primary international gateway for the north-eastern part of Romania are Suceava, Vaslui, Botosani, Bacau and Chisinau. 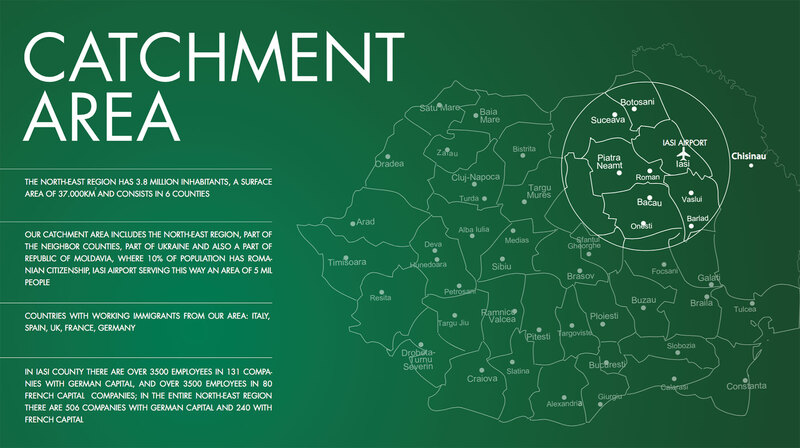 30-minute catchment area (35 kilometres) – 655,000 population; and covers Iasi city, including: Palas Lifestyle Centre, several major companies (E.ON, Delphi, Amazon, Endava and Continental), Palace of Culture, Metropolitan Church, Bucium Vineyard and Pleiada (the only five-star hotel in the entire catchment area). 60-minute catchment area (70 kilometres) – 1,780,000 population; and covers the cities of Pascani, Roman, Vaslui, as well as Cotnari Vineyard and Conac Polizu. 90-minute catchment area (105 kilometres) – 4,765,000 population. 120-minute catchment area (140 kilometres) – 6,540,000 population; and covers the cities of Suceava, Botosani, Bacau, Chisinau, as well as the famous monasteries from Bucovina. 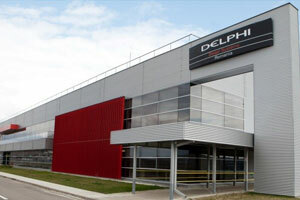 A large number of businesses (particularly car component manufacturing companies such as Delphi) generate freight and air travel-related opportunities to Germany, France and Turkey. Wine has historically been produced within Iasi Airport’s catchment area, both red and white, with the current wine industry being extremely successful and still growing. Car component manufacturing companies (Delphi and UMB Barlad to name a few) within the airport’s catchment area require direct flights to Germany, France and Turkey for cargo transport. 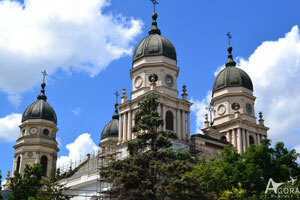 Iasi County is an important producer of bio (organic) food, particularly fruits. 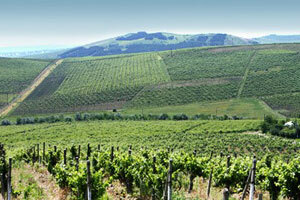 The region has a strong and flourishing wine industry. 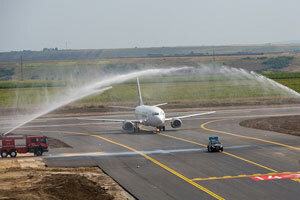 Following a €60 million investment, Iasi Airport’s brand new 2,400-metre runway became fully operational on 16 October 2014. Part of the major development project at the primary international gateway to the north-eastern part of Romania, a new terminal facility that will accommodate up to 320 passengers per hour will also open its doors on 25 October 2015. 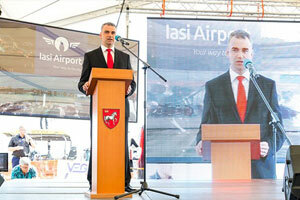 The achievement was marked with a press conference by Marius Bodea, President of Iasi Airport, while TAROM’s 737-300 from Rome Fiumicino was the first aircraft to touch down on the new tarmac. TAROM’s 124-seat 737-300 from Milan/Bergamo is touching down on Iasi Airport’s new runway. Excellent surface access – reachable by car, public bus and taxi (around €8 from the city centre and €10 from the main train station). Terminal One is currently used for international departures and administrative offices. Terminal Two has been used for domestic departures and all arrivals since 2012. Terminal Three will open in September 2015 to cater for all international departures and arrivals, which are going to be moved there. Following the transition, Terminal One will only be used as an administrative building as well as the VIP departures room. Minimum connection time: 25 minutes. Terminal Three will open its doors on 25 October 2015. 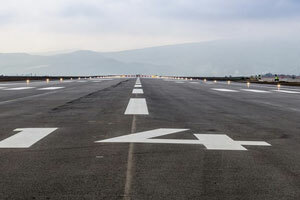 A new runway become fully operational on 16 October 2014. A new apron was also developed that can accommodate up to eight cat. C aircraft or six cat. C and a single cat. D aircraft. Largest carrier: TAROM, which connects Iasi to Bucharest, Rome Fiumicino, Turin, Bologna, Tel Aviv, London Luton and Munich (as of 25 October 2015). 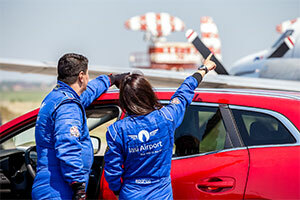 For a full list of Iasi Airport’s charges, please click here.